In society’s view, it was an illicit relationship. But it couldn’t be in my view and in the view of others who knew her well. In society’s view she was a prostitute. Her name was Shivamma. 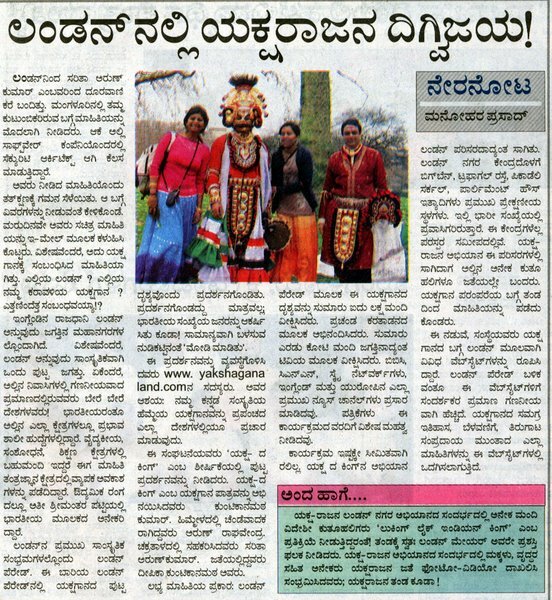 She was from Haladipura of Honnavara taluk. Once, we had a show of the Karna episode in Idagunji, and I played Arjuna. She lived in a house next door, and sent for me. I was very shy about women. When I came across a woman character on stage, I wouldn’t even look her full in the face and talk. I could barely manage the sringara rasa on stage. But in her company, I was rid of my shyness; I started being freer when I had to act out romantic scenes. I cannot forget her role in helping me develop as a complete artist. I was the shy type. Her servant came to me three or four times and pleaded that I go and see her. I persuaded Yaji Bhagavataru to go along with me. We spoke of this and that. “Come to my house in Haladipura,” she said just before we left. I said I would, but didn’t go. Finally, she came over to our place. She cast a spell on Appa and Amma, impressing them that she was a very good woman. I gathered that she had once chanced upon Mabla Hegde on the road, wept, and told him how unhappy she was that I hadn’t been to see her. He finally brought himself to tell me about it. It seems her sorrow had anguished him too. She had taken me to heart so much. She embarked on a huge adventure to win me over. I was amazed. It must have been a predestined relationship. She put in the recommendation of Putsabhahit, who was a trustee of the Idagunji temple, and my well-wisher. “Maharaya, she might take poison, go look her up once”, he said. “Eh maharaya, I am scared. If I have to go to the hospital tomorrow I don’t have the means to spend ten rupees. It’s a shame, and it ruins the body,” I replied. That was a time when all this was not forbidden. Rather, it was a matter of prestige. But what he said came true. I was in touch with her for a long time, and didn’t get so much as a headache even once. Even at this age of 73, I am strong and healthy. The two of us fell into a kind of madness. Even a considerable time after I got to know her, we had no physical contact. She had struggled for three or four years for my friendship. I have experienced many wonderful moments with her. It wouldn’t be wrong to say that it was she who was responsible for kindling my interest in my family. She had received lots of wealth from others., but she did not take a single paisa from me. Once Jalisatgi and I had been to Bangalore. We had to catch a bus and reach Honnavara. As soon as we got off in Sagar, he told me he had no money! I had just four or five rupees. The bus stopped only for a short while. but I told him I would get the money and dashed out. I ran to her house which was close by. “Ey punyathagitti, give me fifteen rupees urgently,” I said. She gave it to me. She had great affection, and respect, for my wife. When we went to see the Idagunji temple festival, she would take my wife along, buy her things, and see her off after giving her some money. Even when my wife came to know about my friendship with her, she was not pained. This was amazing! She had similar sentiments towards my children. Once, when Shambu was in her house, he developed high fever. I was in the village and didn’t know about it at all. She sat by his bed day and night and nursed him. She had cared for him so much. I have seen directly and indirectly that my children and my family treated her with similar respect. If she had been a housewife, she would undoubtedly have been an ideal one. Who knows what had happened in her past life, she had ended up as a prostitute. The man who kept her officially was an Iyengar of Shimoga. He had bought for her gold jewellery worth twenty to twenty five thousand rupees in those days. He had also bought her a place in Shimoga. From what I gathered, she had herself arranged his marriage. The Iyengar couple were in Sagar initially. Even if his wife had to buy a sari, she would accompany her. She would choose saris for both of them. I have never heard her speak a single irresponsible, mocking word. If for some reason, I spoke roughly to my wife, she would quarrel with me. She never nursed any intentions of separating husband and wife. I was deeply pained when I heard the news of her death. I had planned to go and see her when she was very ill and bedridden. It was the time my second son had died, and I would be shaken if I saw anyone lying in bed with fever. Moreover, I wasn’t stepping out of the house. In her very last days, I neither went to see her, nor did I know of her condition. Initially, she hadn’t told anyone about the tumour in her breast. When she visited our house, I believe she told my older daughter-in-law. Gowri took her to hospital and got some medicine prescribed. I came to know of it only then. She had developed breast cancer. I knew her financial position was not at all comfortable at the time of her death. She wouldn’t in any case touch any money from me. Once when I went to see her I got to know that she didn’t even have a blanket to cover herself. I thought of a way: I bought a new blanket, pretended to use it for a couple of days and then left it there as though I had forgotten it. Although the Iyengar had given her some gold, he would take it away and pledge it time and again when he suffered losses in his business. He would redeem it and return it to her when things eased a bit. A few days before he died, he had pledged it again. He died without being able to redeem it again. “I don’t know whether I will be able to get back the gold soon. Keep this money for now,” he said, giving her ten thousand rupees. Just two days before he died, he had taken back eight thousand of this amount. He died unexpectedly. She finally got nothing from him from her livelihood. He didn’t intend to throw her out on the streets; everything happened by accident. it was her misfortune. A few days after his death, they say she went to his wife, fell at her feet, and begged her for help. But they didn’t heed her words at all. If someone wrote about her life, it might become a wonderful story or novel. Keremane Shivarama Hegde was one of Yakshagana’s most celebrated names. He spoke extensively about his life and times to G S Bhat, who trascribed it all into a book. In the course of a career spanning over six decades, Shivarama Hegde came to be acknowledged as one of the greatest exponents of the badagathittu style of Yakshagana. Born in Keremane, in Honnavara taluk of Uttara Kannada, on June 21, 1908, he first perfomed on stage when he was just 14. Hailing from a poor family of Havyaka brahmins, he dropped out of school even before he could complete his primary education. Struggling to earn a living, he worked at various points in his life as a bus driver, ticket booking agent and shopkeeper. He even taught himself to play the mridanga. In 1934, he founded the Idagunji Mahaganapati Yakshagana Mandali, which remains one of the most famous troupes to this day. In 1965, he won a state award. Then came the Central Sangeet Natak Academy Award in 1970 and a Rajyotsava Award in 1985. Nenapina Rangasthala is a candid account of his life in his own words, as told to G S Bhat. Recorded on tape around 1981, it was published only in 1996. The book has won fulsome praise in literally circles. This excerpt is from Chapter 7, called Olidu Bandavalu (The woman who gave me love).